LINO is a contemporary, Italian-inspired restaurant located in Singapore’s Binjai Park. The name LINO comes from the word linen, which is used to cover pizza dough as it leavens – a traditional method that helps the dough naturally ferment without interference. Our food is rooted in this same philosophy of utilizing classic cooking techniques that allow flavors to develop naturally and honestly. We specialize in fresh, handmade pizza, pasta, and small plates, and offer a unique beverage program focused on wine, spritzes, craft beer, digestifs, cocktails, and coffee. LINO is your go-to Italian restaurant that provides a relaxed, casual, yet elegant dining experience with both indoor and al fresco seating. At LINO, Executive Chef Shaufi Yusof delivers a unique culinary approach to Singapore’s current dining scene by creating contemporary Italian-inspired food that showcases seasonal and locally sourced ingredients. 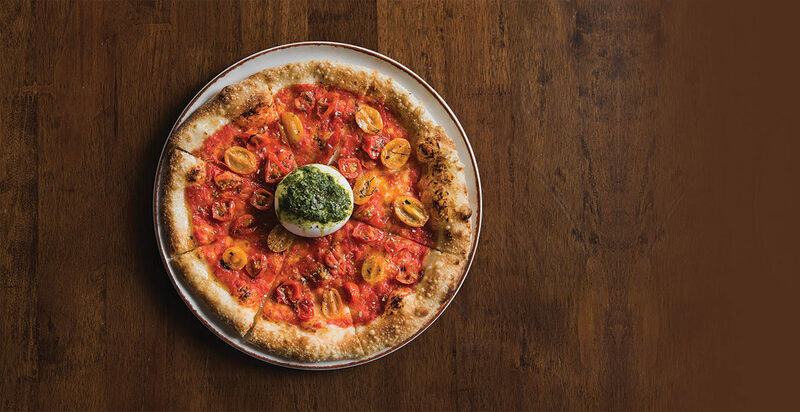 The highlights of LINO’s menu are the homemade, hand-filled pasta and hand-crafted, 48-hour proofed pizza that’s prepared fresh daily and cooked to perfection in a wood-burning oven. We also offer a wide variety of vegetarian and gluten-free options as well as wholemeal pizza dough when requested.